Flower Shop Network believes in local florists! When you send flowers through FSN, the local flower shop receives 100% of the profits! Birthday Anniversary Romance Just Because Get Well Soon Sympathy House Plants More Flowers! With its sweet fragrance and colorful look, this flower is perfect for weddings, showing friendship, and making any arrangement gorgeous. 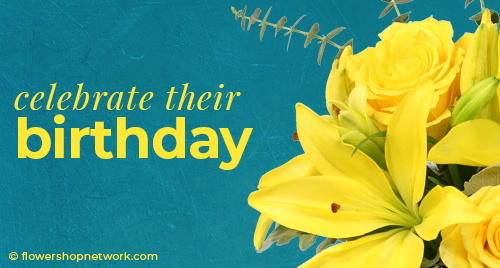 Learn more about the history and meaning behind the freesia flower. Ruled by the house of Venus, Taurus is the second sign in the zodiac. If you are buying flowers for this grounded, persistent and lover of the luxurious life sign, then you're going to want to read this! If searching for the perfect arrangement and deciding on which one to send wasn't hard enough, knowing what to write on the enclosure card can be difficult too! No worries! We can help you write a sweet message for April. Flower Shop Network makes sending flowers easy! When you select a flower arrangement, you will be instantly connected to a REAL local florist in your community. You can also visit our directory and choose your own florist anywhere in the US & Canada! A real, physical address and phone number assuring you are dealing with a real local florist. Customer Reviews for florists listed in our directory. Florist Spotlights, a more in-depth look at a particular florist. Social media participation - find us on Facebook, Twitter, Youtube, etc. We're mobile! Connect to your favorite florist anywhere, anytime! We offer a Spanish version of our florist directory for the Spanish-speaking community. So, what is Flower Shop Network all about? Making sure every flower purchase is a special occasion and delivered by a real local florist. Find us on your favorite social site!